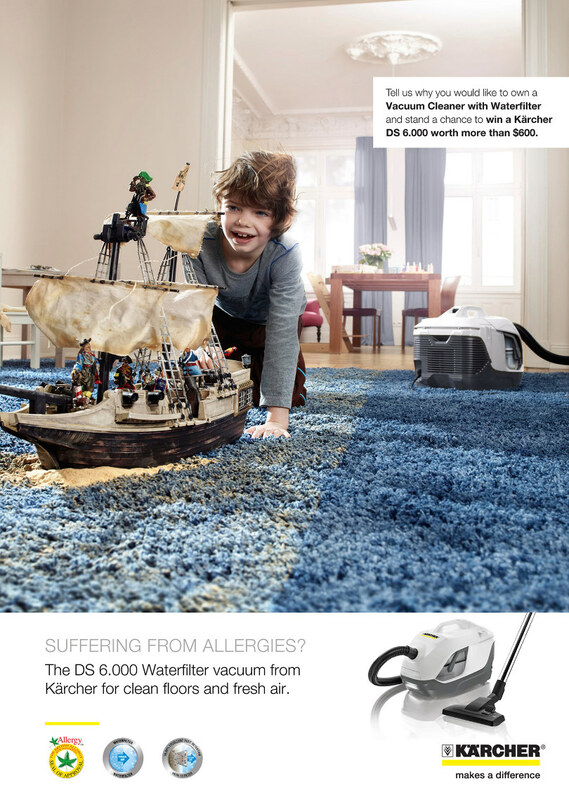 Kärcher is giving away 2 DS 6.ooo vacuum cleaners worth $698 each to 2 lucky fans from The New Age Parents! Stand a higher chance to win when you share and comment this Facebook post on your wall or your friend’s wall. Contest ends 30 Sep 2013. Note: Contest winners are required to provide a short testimonial, accompanied with some photos after using the vacuum cleaner.